Summer’s here but our summer bodies are still hidden somewhere! Take a friend along or go for your own workouts, but it is time to whip out those gym clothes. Here are 6 places in Salt Lake where you can join the bandwagon! This is a gym with a view and also a running track. With artificial flooring that does not hurt your back, this gym on the 5th floor of a glass building has all the equipment you could possibly need to get fit – from battle ropes to glute machines. Not just that, they have Zumba, yoga, CrossFit, and functional core classes as well. For eight sessions, they charge INR 3,000 and, according to the number of sessions you take the price varies. The gym membership for a month is for INR 4,000. Which includes a general consultation with their dietician. They also have personal trainers. Best part? They have a 25% summer discount going on. These guys have a ton of international facilities clubbed with Zumba classes, and fat burning workouts to achieve the summer body we all hope for. You can rejuvenate after a strenuous workout in their sauna and steam room. The membership for the gym is will cost you INR 5,000, including a consultation with the dietician. Zumba and yoga classes will cost INR 2,100 for a month. With the steam room, lockers, parking for members, Golds Gym is the place to be for all your summer workouts. Grab yourself a one-month membership for INR 7,080 with a free month of yoga (4 sessions) and Zumba (12 sessions). A personal trainer will help you curate all your workouts for an additional cost of INR 5,350. Their membership also includes a consultation with the dietician. They have a 50% off on their annual membership, which after all discounts, will come to INR 21,330. This includes 6 sessions with the dietician, yoga and Zumba classes. 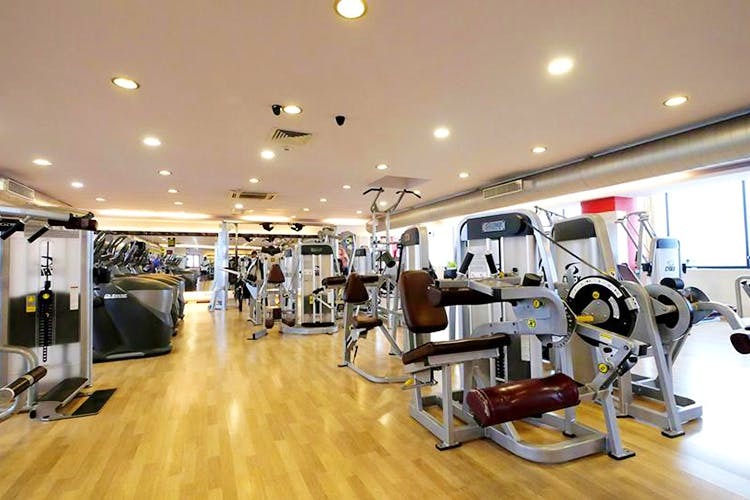 This is an affordable indoor gym with good facilities, equipment and tons of classes that you can go to. After paying a joining fee of INR 600, you can avail any of their classes (Zumba, yoga, aerobics, CrossFit, and functional) for just INR 1,200 per month. You can have a personal trainer assigned to you for an additional cost of INR 3,500. The gym membership helps you with a consultation with the dietician as well. With an admission fee of INR 500, this gym provides you with certified trainers who will assist you at every step and help you attain the fitness goals you want. They focus on CrossFit, and have kickboxing as well. Grab their monthly membership for INR 1,400. A fitness studio which really gets down to the root of your fitness issues, does some amazing postural corrections and guides you according to the progress that you make, that’s Endorfins. Their founder Ranadeep Moitra does a monthly column in The Telegraph, check it out. Grab a monthly membership for INR 3,000 or the quarterly for INR 8,000. It is inclusive of any training that you will require as well as dietary instructions. Check out their Facebook page for more. They change your classes as and when your strength and stamina grows and provide CrossFit training, Olympic training and functional training.